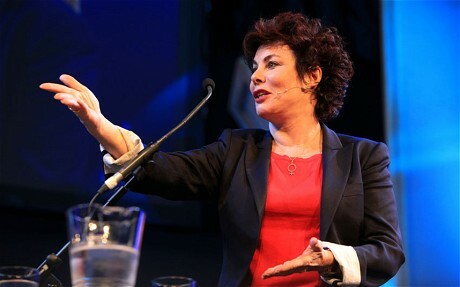 I have an immense amount of respect for Ruby Wax, not just as a comedian, and not just because she has worked so hard throughout her life to help end the stigma on mental illness, but because she also actually does something to help those affected. Sane New World acts as an introduction to the phenomenon that is Mindfulness; it provides exercises to try as well as evidence of their effectiveness. With clear influences of Mark Williams (a professor of psychology who wrote the most important book I’ve ever read), Wax makes it her goal to teach her readership a little more about something too few of us truly understand: our own brains, and for those who are not regular mindfulness practicers, Sane New World has the potential to be an absolute life-changer. It is not an autobiography or memoir, nor is it a self-help book. Sane New World is a little bit of everything, a ‘manual’, and a piece of comedy in itself. Wax has brought her sharp tongue and uncompromising sense of humour to a topic that many of us don’t enjoy discussing, but she writes sensitively, with frequent references to her own experiences with depression. This book teaches us that we’re all mad: our brains are still doing things that were required to keep us alive when we were cave dwellers, such as the way our focus is not wired to stay ‘in the present’ for too long because tens of thousands of years ago we needed to be able to recall past experiences and anticipate future ones to avoid getting killed. In the modern world, however, this means that we are constantly floundering as our brains are simply not wired to pay too much attention to what’s happening right now at any given time, and the problem arises from the fact that we are no longer being hunted in such a way that requires us to think ahead instead of thinking about the now. But Ruby hasn’t aimed to make us feel bad about the fact we have such little control over own brains, but rather the opposite: Sane New World is a book that brings a positivity, a hope that we can change the way our brains work for the better. Empathetic, kind and comforting, this fantastic comic has entertained and educated us in this all-inclusive novel, which is laugh-out-loud-funny in places. It teaches that our brains have plasticity and can change. Our brains and our minds are not the same thing. Our thoughts are not ‘us’, they are a by-product of ‘us’. All the answers are there, we just need to acknowledge them. In the year or so that I have been learning Mindfulness, my life has completely transformed and I genuinely feel like a different person. This isn’t just a book for those studying psychology, those interested in help for sufferers of mental health issues, or seeking therapy for themselves. It is, in fact, a book for everyone: school students, people in work, people out of work, old or young. I want to assist Ruby in spreading the word about this simple technique. This is a book that I have been excited to tell all my friends about, and plan on lending it to as many that will listen to my recommendations. 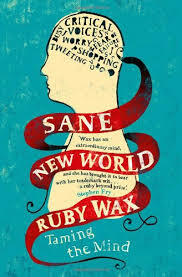 PURCHASE RUBY WAX’S ‘SANE NEW WORLD’ HERE, AND ‘MINDFULNESS’ BY MARK WILLIAMS AND DANNY PENMAN HERE.